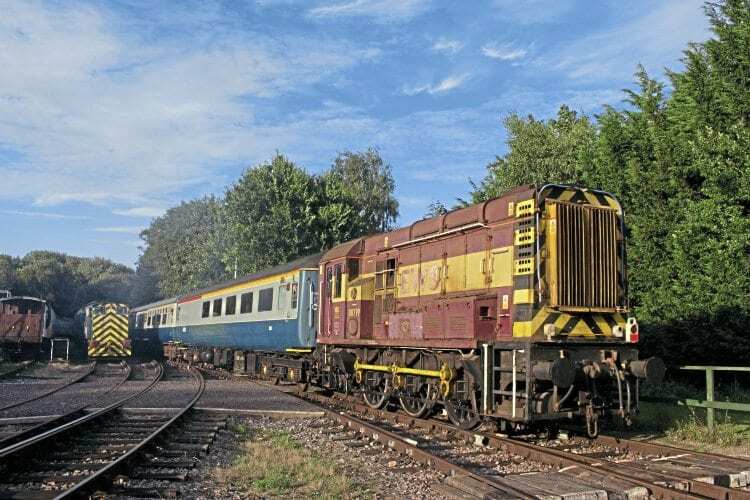 THE East Kent Railway (EKR) was recently rather lacking in the Class 08/09 department, but this has now been rectified, thanks largely to HN Rail. On Friday, August 4 the railway hosted a joint visit by the Preserved Locomotive Enthusiast Group (PLEG) and the Branch Line Society (BLS). In action were Dutch English Electric 0-6-0DE No. NS687 plus Class 08s Nos. 08676, 08685 and newly arrived No. 08799. The latter has been based on the EKR since June and is not thought to have worked passenger trains prior to its arrival at the railway.